A quick easy snack to cure the hangry monster in those “I’m starving and can’t wait for dinner” moments. If you don’t like cayenne, just leave it out! In a very small bowl, combine sea salt, cayenne, and cinnamon. 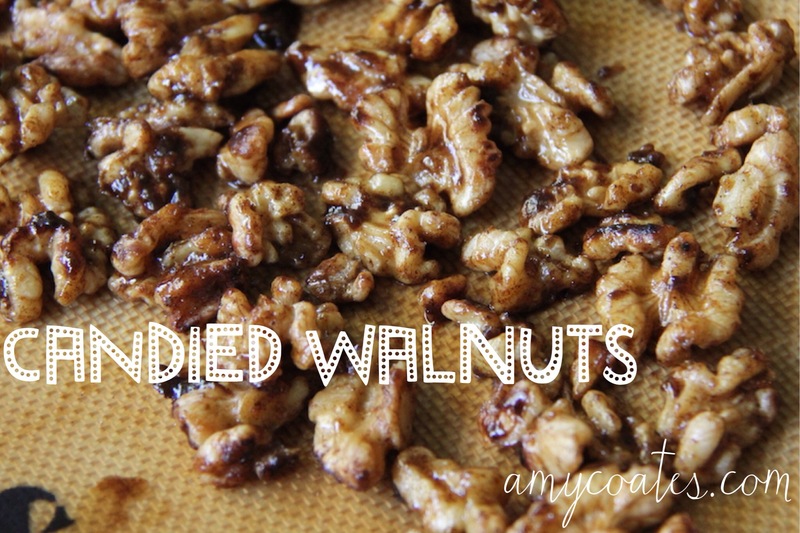 In a frying pan, lightly roast walnuts over medium heat until they become fragrant – just a few minutes. Sprinkle spice mixture over top and mix well. Add maple syrup and stir well once again until syrup candies (about 30 seconds). Remove from heat and dump the mixture on a non-stick surface and let cool.